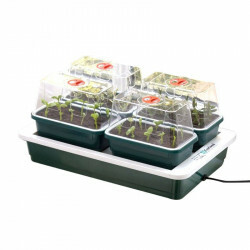 MINI-GREENHOUSE HEATING There are 8 products. 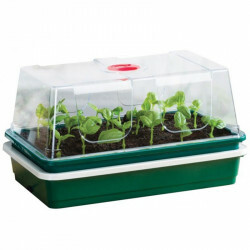 All of the mini greenhouses heated interior are in Indoor Discount, your growshop online for indoor growing. 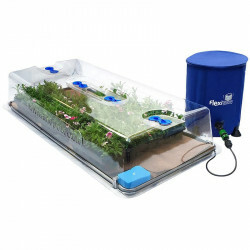 They will allow you to retain the ideal temperature to start your vegetation and produce seedlings and bouturages, and this regardless of the season, and without taking up room in your home. 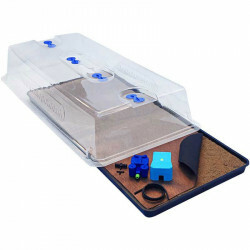 These plans will also be protected from animals and insects that are found frequently in nature. For the location, they must be asked in a bright place (for the loan of a window for example) and close to an electrical outlet to be plugged in. Replant into individual pots plans, vegetables, cuttings or plants as soon as the leaves appear. 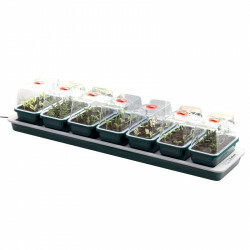 If the lighting is not optimal, you can add lamps, horticultural crops, and control soil moisture with a hygrometer. 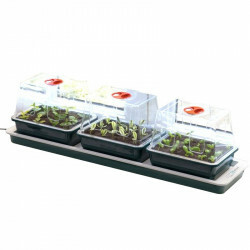 Our radius has greenhouses with heaters of different dimensions and height : 38,5x24x20 cm for 24 plants, greenhouse heaters, small or medium-sized not expensive. All of our products and accessories sale, best price, our experts are present in all of our stores in France to give you advice.